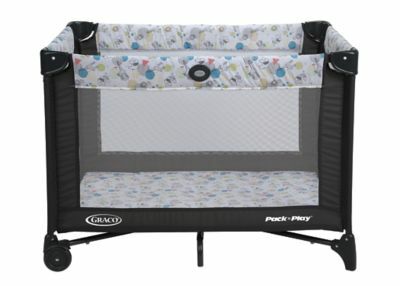 Pack-N-Plays are ideal for anyone with infants or young children. Use as a crib, for naptime, or just to keep the little ones contained while by the pool with some toys. These beds are very convenient and can be placed in any room or area of the house. You can either wheel it around or pack it in the carry around case. Our Pack-N-Plays are easy to set up. Just pull up the sides and push down in the middle. To fold up just pull up on the middle and push down on the buttons of the rails. Don’t forget we offer free delivery and can set up your Pack-N-Play in the room of your choice. We have all your baby needs covered! Our baby high chair supports your little one and you can have a little to no mess clean up after they are done.